If you rely on SEO and the traffic from the search engines, it’s essential to perform a keyword research before writing your content. A keyword research will help you determine what people are typically searching for. 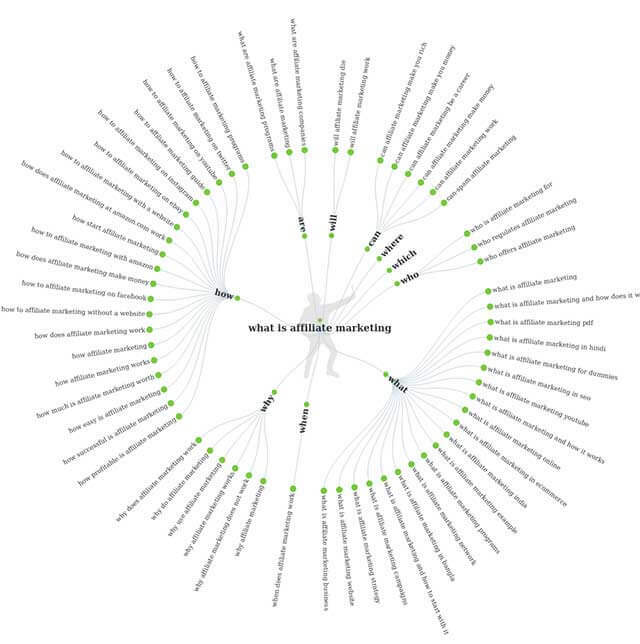 Knowing precisely what keywords to target, will help you to write more SEO friendly content. Furthermore, the longer the keyword is, the easier it usually is for your content to rank for it in SERP (search engines results page). The long keyword phrases are usually known as long tail keywords. These extended keyword phrases will also help you to get more specific about a chosen topic and give your readers exactly what they want to hear. 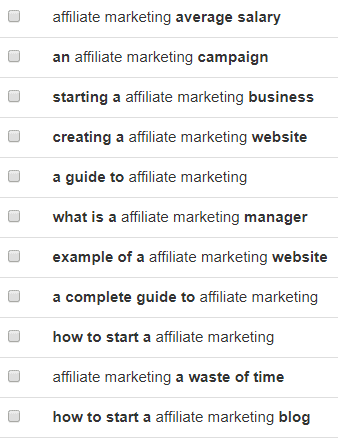 Before starting a keyword research, you need to have a subject in mind and a base keyword (for example “affiliate marketing“). 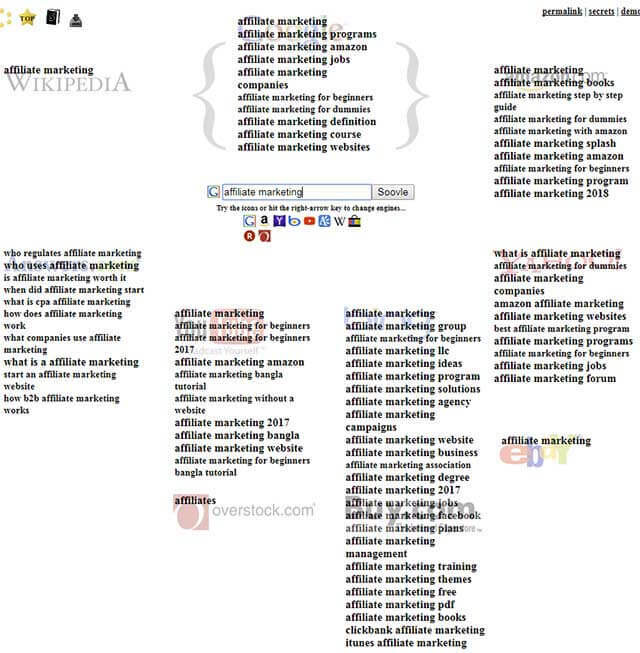 In order to generate long tail keyword ideas, you can use the multitude of online tools and services. The majority of these research tools require a monthly subscription and their prices are usually not very affordable for everyone (the cheapest services of this type usually cost about $50/month, and the most advanced ones can go up to hundreds of dollars per month). Fortunately, there are also several very good free tools for finding long tail keywords. A few of these tools are 100% free, but some of them also have a paid plan that unlocks more features. I made a list of the keyword research tools I use, including only the services that do not restrict your options very much. Google Keyword Planner is a tool provided by Google for the people who use the Google AdWords advertising platform. Even though Keyword Planner is intended for the advertisers that promote their business using the Google AdWords service, it can still be used entirely for free by any person who has a Google account. If you don’t have one already, you can just create one for free. Once you have a Google account, you have to register with Google Adwords. You just need to fill a few information, and there’s no account validation process or anything complicated. Also, you don’t have to fund your account or start a campaign to be allowed to use this tool. 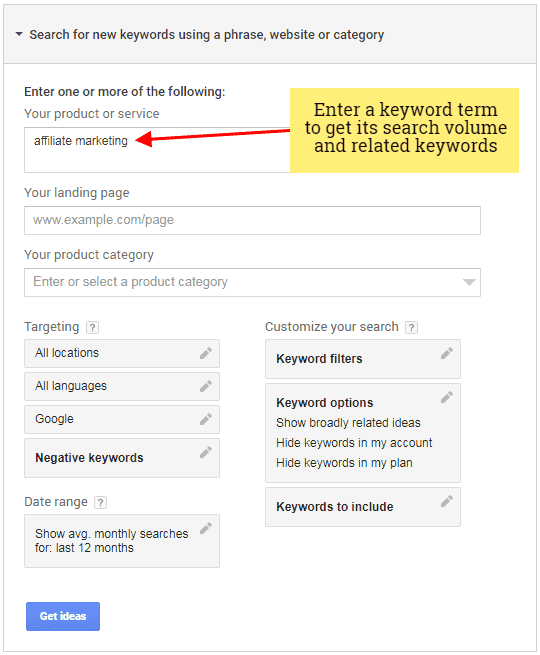 After you have a Google AdWords account, you can access Keyword Planner Tool here. If you want to find related keywords to your primary keyword, use the first option (Search for new keywords using a phrase, website or category). This option enables you to perform a search based on one or more keywords, find the keywords of a particular page, or even find keywords related to one of the available categories. I usually just use the search that requires specifying one or more search terms. To enter more keywords, just hit “Enter” and add one term a single row. After you click the “Get Ideas” button, Keyword Planner will give you the estimated traffic volume for the chosen keyword and a list of other related keywords and their search traffic volume. 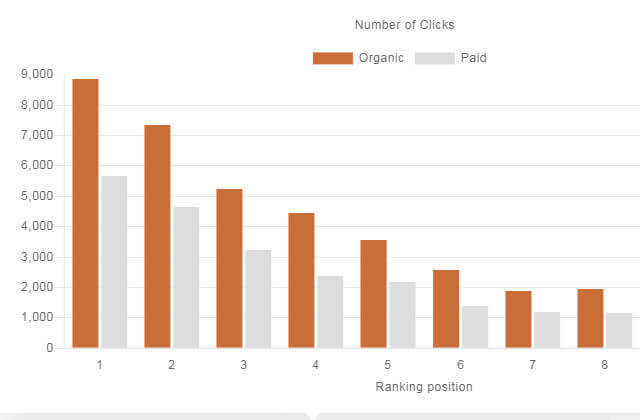 Normally, the shortest keywords have the most traffic and the highest competition. 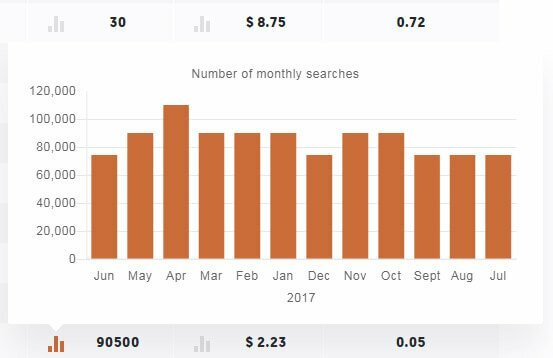 To facilitate the process of finding the longest key phrases, you can sort the listed keyword in descending order by the number of average monthly searches. You should now notice that longer expressions are displayed at the top of the list. Even though these phrases don’t have a high search volume as the short keywords shown initially at the beginning of the table, it’s way easier to rank for these than for the short keywords. To find keywords for your articles, just scroll through the list and find the expressions that are long enough (4+ words) and still have a decent number of monthly searches. Sorting the results by ad group might also help you to find the desired keywords. 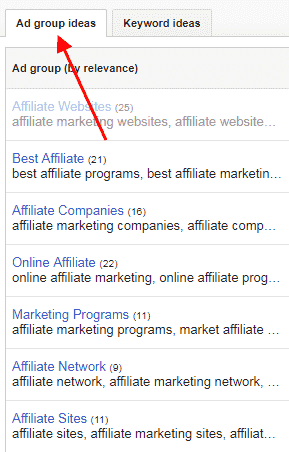 To do that, click on the “Ad group ideas” tab from the top of the list of keywords. 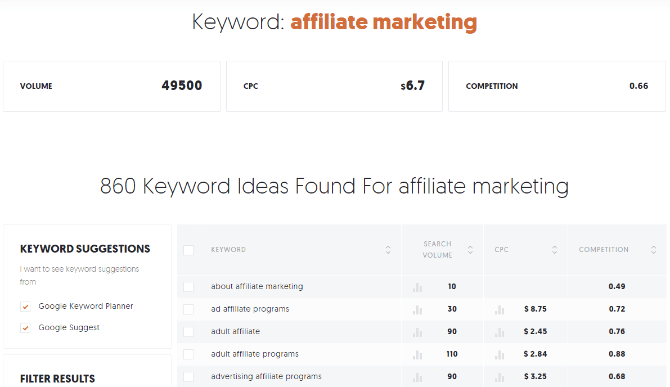 Keywordtool.io is a keyword research tool that enables you to use the data collected from several sites to generate a list of keywords based on a chosen search term. As a free member, you only have access to the “Find Keywords” function of Keywordtool.io. There are also two other useful tools (Analyze Competitors and Check Search Volume), but these are only available for the premium members. Nevertheless, the keyword finding tool is incredibly useful for discovering long tail keywords and because you can perform research for six different websites from a single place, which makes this service invaluable. The free version has several limitations, but as far as I know, the number of your daily queries are not limited. As a paid user you can get more keywords, see the keyword’s search volume, CPC, and the level of competition, which are hidden by default. If you need those metrics and you don’t want to upgrade to a premium plan, you can just copy a keyword from Keywordtool.io into Google’s Keyword Planner, and you’ll have access to the missing info. 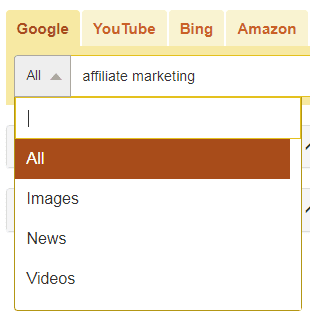 The keyword research tool also has a few various filter and options. For instance, you can choose to search the keywords returned only by Google Images, News, or videos and you can filter the results even more by Google’s domain name (the country location), or the search language. And these are just a few from a long list and only pulled from Google Search autocomplete feature. I still have the option to search in Google Images, News, Videos. Then, I can simply repeat the search using the remaining five sites. Even more, after the search form, there are two tabs: keyword suggestions and questions. 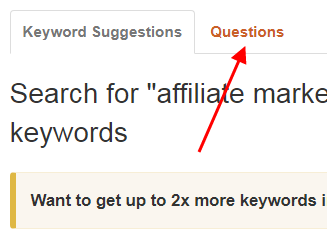 If you switch to “Questions” tab, this service will filter and display only the questions key phrases. 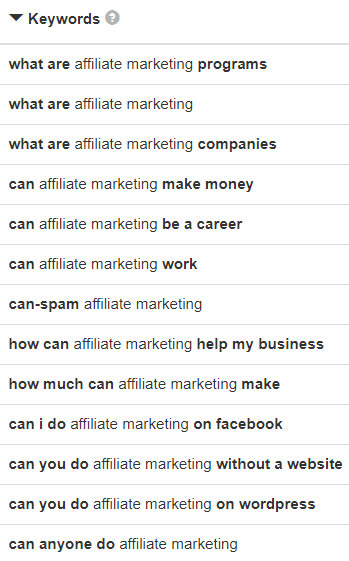 I got again an impressive list of extended questions type keywords that I can target in the content of my blog posts. Because this tool is so amazing, you even have the possibility to copy all the keywords or to export to a .csv, or an Excel file (similar to what Google Keyword planner allows you to do). 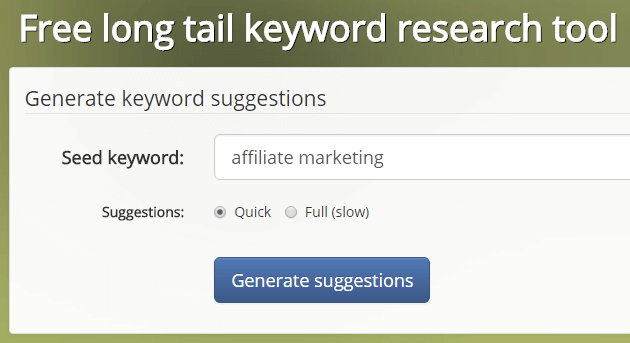 Keywordtool.io is one of my favorite websites for finding long tail keywords. 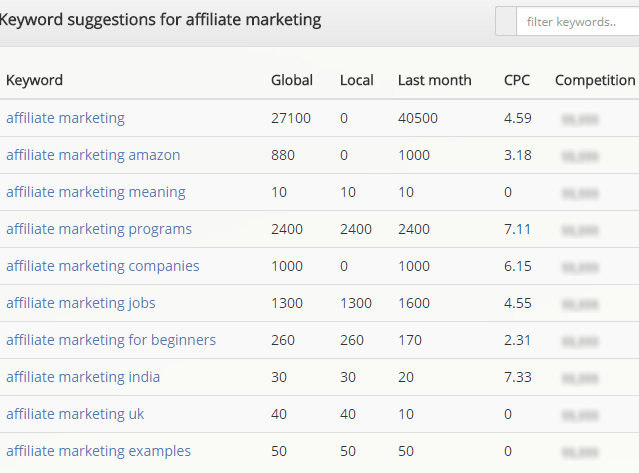 Ubersuggest is another super useful free online service for finding keywords. Similar to Keywordtool.io, Ubersuggest enables you to search for terms in different languages and from multiple sources: Web, Images, Shopping, YouTube, and News. Ubersuggest has been recently acquired by Neil Patel and the keyword research tool was moved to Neil’s domain name. Don’t worry, this tool is still free. In fact, Neil Patel has not only kept this tool free, but he has also added several useful features to this service, features that can compete with many paid keyword research tools. Besides the improved user interface, there was added a column that displays the PPC predicted cost for a given keyword, a column that shows an estimative SEO competition, a graph that displays the organic and paid estimated click volume for a keyword, the number of monthly searches, several ways of filtering the displayed results, and more. Ubersuggest looks now like an improved version of Google Keyword Planner. Thank you Neil for maintaining this tool free and for making from Ubersuggest an even better tool. Answer the public is again a tool that generates a list of suggestions starting from a simple phrase or a few words. The data displayed by this service is provided by Google and Bing auto-suggest results. Answer the public allows you to look for keywords in several different languages but doesn’t have too many other options. Enter your base keywords in the search form on the homepage, and the service will generate a set of questions, prepositions, comparisons, and a list of alphabetically sorted search terms related to your query. Even though it keeps things simple, Answer the public displays some of the data using a few fancy graphics, which is quite nice. 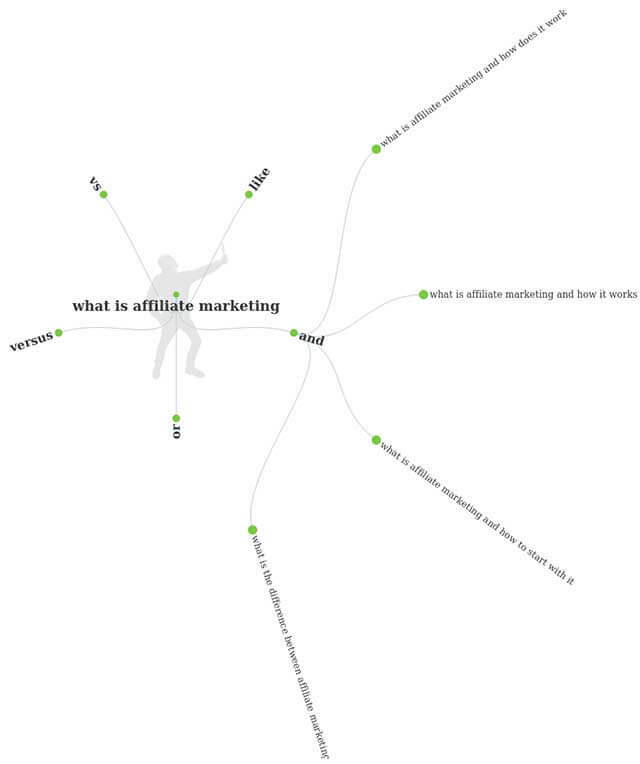 Below are the questions regarding affiliate marketing. Below are the comparison terms. And here’s a fragment of the list of terms grouped alphabetically. 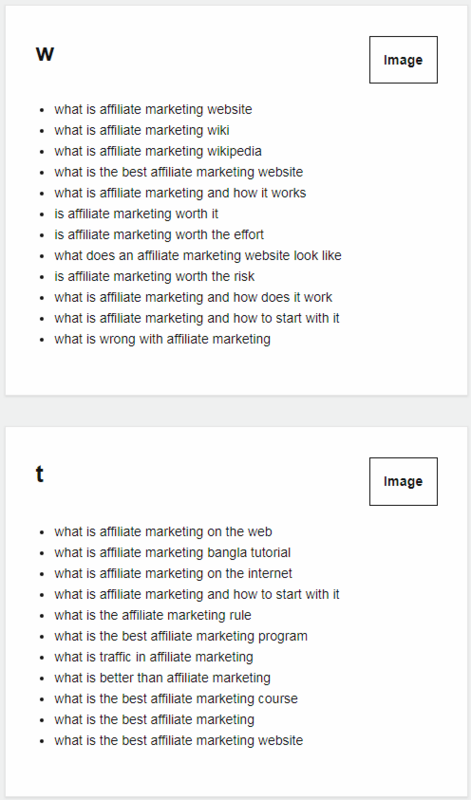 Overall, Answerthepublic.com is a free, simple, but powerful tool for finding long keywords, questions and related search queries to a given term. The best part is that’s completely free. 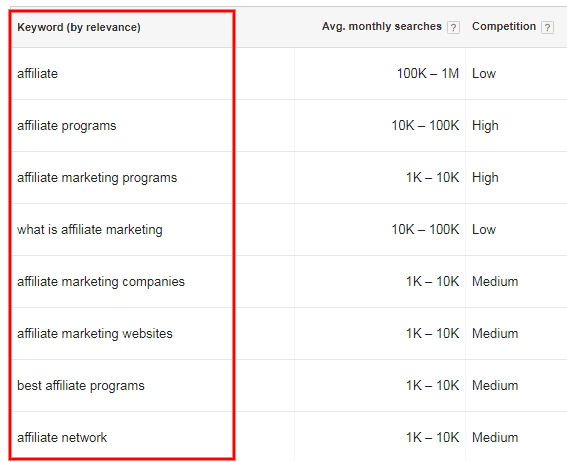 Insta Keywords is a free long tail keyword research tool, but which has a paid plan. If you want to see the competition score for the keywords, you’ll have to upgrade to the premium version. The data returned by Insta Keywords it’s very similar to what Google Keyword Planner Tool displays, but this service focuses on delivering the longer keyword variations. In fact, probably, some of the data displayed by Insta Keywords is collected from Google Keyword Planner. Here’s a preview of the results. Soovle is not very fancy, doesn’t have a lot of options and features, but does its job and it’s free. This service can simultaneously check for the same keyword over several different websites and search engines and display the results instantly on screen. The way Soovle displays the results on screen, it’s a bit messy, but as long as it’s free, I can live with that. You can also download the list of keywords as a .csv file if you click on the download icon from the top-left of the page. 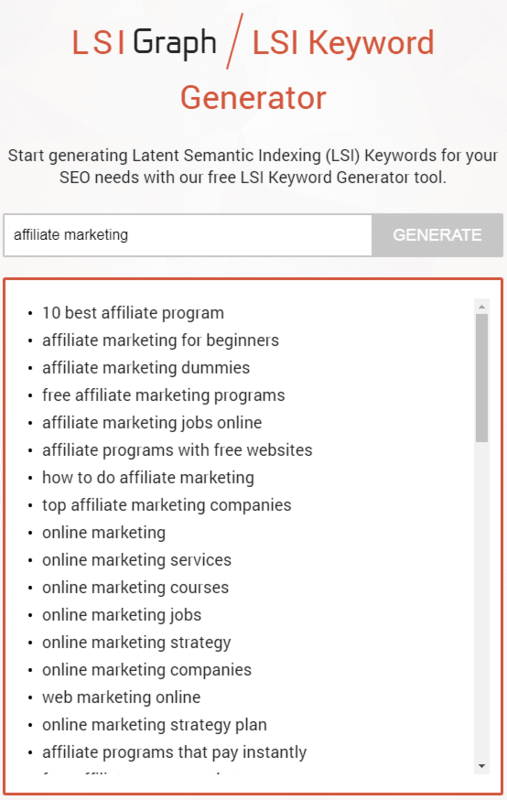 While the main role of LSIGraph is not to give you long tail keyword but to generate LSI Keywords, I’ve decided to also include this tool in my list. Besides the terms semantically linked to your main keyword, LSIGraph also often include several long tail keywords amongst the results. The SEO competition has reached a very high level of competition for many niches. A proper keyword research can make a huge difference between having your posts listed on the first page of Google, or on the fiftieth. If you want to have a chance for your content to rank on a superior position in the search engines, I recommend you to focus on optimizing your content for long tail keywords. 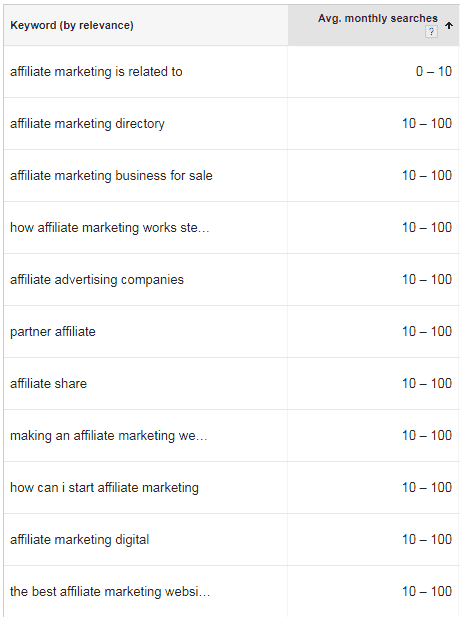 Even though these keywords won’t bring you as much traffic as the short key terms, at least you have a chance of occupying a decent position in SERP. Furthermore, if you optimize the same article for multiple related long keywords, your content may rank well for several of those. Hope you’ve found this post useful and don’t forget to put these tools into practice the next time you write an article. Don’t forget to add this post to your bookmarks. I’m sure you’ll need it later. Also, if you know other free tools for finding long tail keywords, let me know in the comment area. Thank you for the tutorial sir;i would surely check it out. Though a newbie but would use this and try your other post.